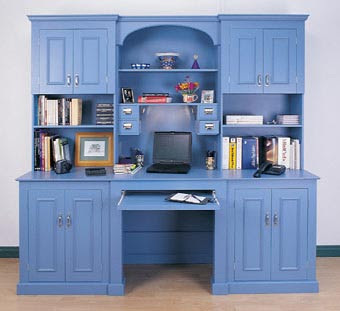 Desk storage most often comes in the form of drawers - but hutches are another option, usually in combination with drawers. For example, there's the one above from Grandin Road, which has two types of hutches. 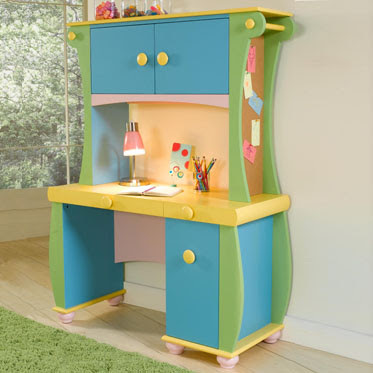 This desk from Jonathan Avery comes in your choice of 18 colors. Update on May 20, 2012: This store seems to have disappeared. There's a new one, Avery Homestore, but it doesn't seem to sell furniture. 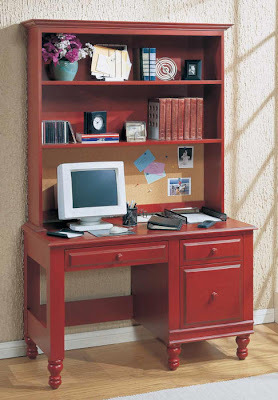 And for a real riot of color, here's a desk from Powell. 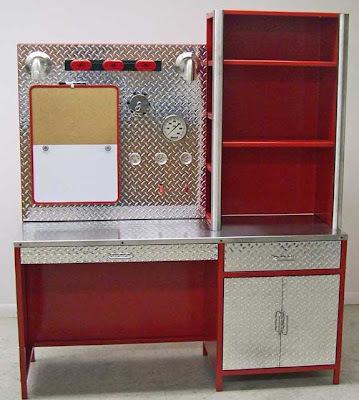 But for a really different child's desk with a hutch, take a look at this fire-engine themed desk from Tobe Mfg. 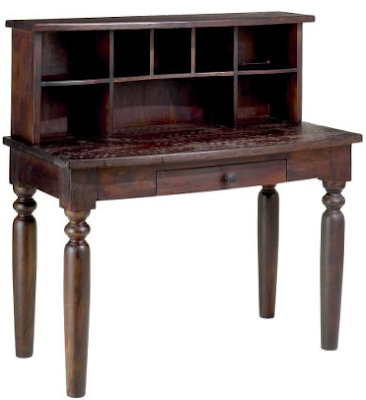 This desk and hutch from Cost Plus World Market comes from India. 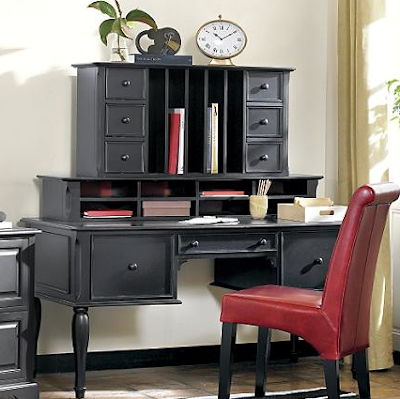 Alligator Enterprise has seven different desks with hutches. 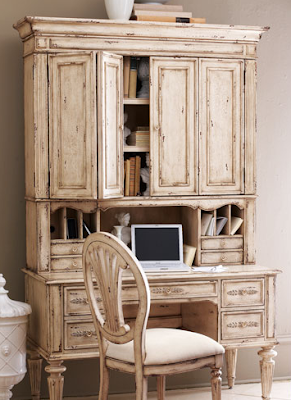 Neiman Marcus has a number of desks with hutches, including this one. 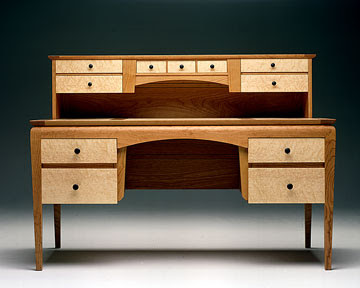 Finally, this desk by James Becker at Vermont Wood Studios is simply stunning.